The original (pre-2008) index page is still around here. The rest of this page rounds up all of the news items posted to the new format. This space intentionally left blank...? We have to apologise for the woeful state of this site... it looks a lot like it's been abandoned, doesn't it. There are some (pretty poor) reasons but we're trying to make a resolution to keep it more up to date. I know, you've heard that before! The biggest news is that we are visting the USA again, with another concert in Philadelphia and some radio broadcasts in the pipeline. More information from the gatherings. Since the last update we have been relatively busy. At the end of 2009 we released a download-only album from the last Hampshire Jam. This is available exclusively from MusicZeit. It has also been a good year for live performances, with concerts in Burton, UK (as part of the Awakenings series), Oirschot in the Netherlands (E-Live) and - at last - as part of the Ricochet Gathering in Berlin. Sadly Adrian was unable to make Berlin, so Bill Fox was drafted in on guitar. In addiition to the usual RG jam sessions, Pete also played as part of Ideation. A new recording of the concert on La Gomera has been released. There has been a raw demo disk knocking around for a while; this is a much more focussed edit. Before the Moon is a mix of experimenal ambience (playing processed versions of the waves against the real thing) and some quite dancy electronica. Two albums will be released at Hampshire Jam 8. The first isn't exactly new - it's the CD version of Burn. 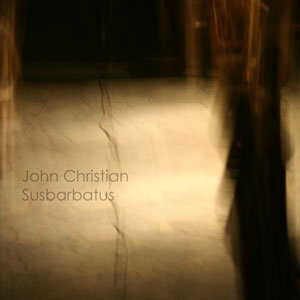 The second is John's brand new solo album "Susbarbatus". Hampshire Jam 8 has been announced, and AirSculpture will be playing along with r.m.i., Brendan Pollard and Callisto. The good folks at MusicZeit have adopted the festival after Steve Jenkins handed over the reins. The format will be unchanged, though, and promises to be another great day out. After the not entirely serious "wig out" at HJ7 we're looking forward to getting back to do a more conventional set! Although there may be a significant difference... watch this space. MusicZeit is giving a free taster album away to everyone who buys a ticket online through their website (you can also get tickets via some kind of pre-internet technologies if you need to, but if you need that how are you reading this?). The AirSculpture contribution is a slightly different mix/edit of "Argent Engine" which appeared on the Stars End compilation. Pete has joined forces with fellow Cosmic Smoker and Ricochet Gathering regular Paul Nagle to form "Ideation". They have a limited edition album called "Adrift" which is on the Richochet Dream label and will be playing at the Thimbleberry festival in June (County Durham, England). The music is a predictably unpredictable mix of modern electronica, Berlin school, and general wierdness. Joint Intelligence Committee guitarist Phil Smilie also appears a couuple of tracks. The album is available from CD Baby or the Richochet Dream store. 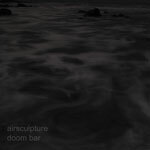 New for 2009 is Doom Bar the first dark ambient album by AirSculpture. Although best known for their sequencer improvisations, AirSculpture have always delved into more abstract deep space music. 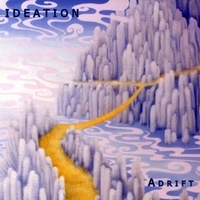 Tracks in this style have appeared as far back as Void on Attrition System (1996) but this is the first full length album to showcase it entirely. The two long tracks were recorded at a band retreat in Cornwall in the spring of 2008. The 45 minute title track was a deliberate recording - after a day spent creating suitable sounds it was recorded in a single take as soon as the sun went down. In contrast to this, Voter Run is a 15 minute extract from a longer set that devloped in a totally different direction. In isloation it perfectly reflects the feel of the longer track. 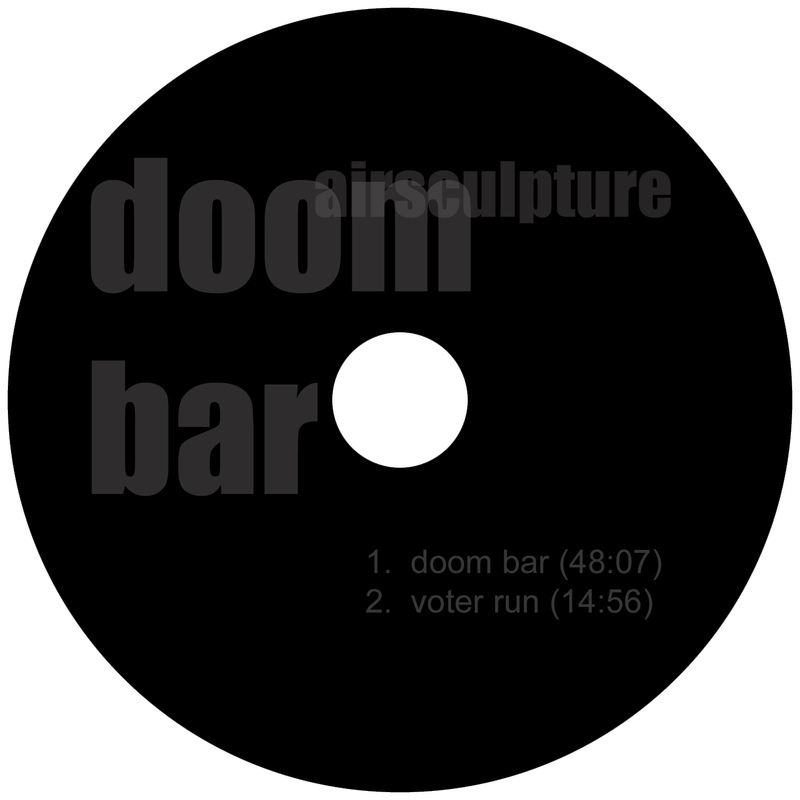 Doom Bar presents a slowly evolving abtract soundscape, mixing pure electronic sounds with prepared piano and other found sounds. It is available as a download album at MusicZeit. November '08 saw Hampshire Jam 7, billed as the last ever event. There was no way Pete was going to get away with not playing a solo set; this was followed by a short band set. Pete played a rather different style to what everyone is used to, focusing on samples, loops and treatments. With the addition of the other two, things changed dramatically. Wanting the last 'Jam to be a bit of a party, wigs were donned and a (not terribly serious) set embarked on opening with a Stylophone solo and ending with heavy metal synths from Ade's ruler based controller. Happily it appears that Hampshire Jam will continue after all, under the aegis of the MusicZeit guys. There is video based evidence, here. 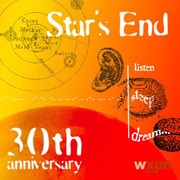 To celebrate its 30th anniversary (and to raise funds for the next 30) the Stars End radio program has released a double CD of exclusive recordings made during on-the-air performances. It includes a 12 minute AS track called "Argent Engine" from 2006. The first CD presents local artists The Ministry of Inside Things and Orbital Decay, followed by frequent British invaders Ian Boddy, AirSculpture and RMI. The second disc is devoted to a more American-style ambient selection from Robert Rich, Rudy Adrian, Jonn Serrie, Jeff Pearce, Erik Wollo, Saul Stokes and Steve Roach. The tracks segue beautifuly between the artists. Often you're well into a track before some trademark flourish gives notice that has changed. As the album has been sequenced by Chuck van Zyl, it probably shouldn't come as much of a surprise (it's what he does every weekend!) But it is impressive none the less, and make each disc feel like a real album rather than a collection of disparate tracks. The album is only available as part of the WXPN membership package. Not the cheapest way to get hold of an album, but you are helping a vital part of the world-wide EM community. Remember you don't need to be in Philly to enjoy Stars End, it's available over the web wherever you are. More information including sound clips is at the Stars End site. 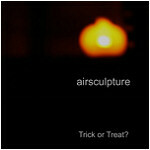 After sitting around doing nothing (well, lots actually - see the timeline - but not much in the way of album releases) there is finally a new AirSculpture album. 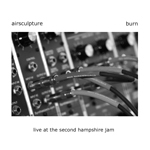 Burn is a recording of the Hampshire Jam 2 concert, which has been demanded as a release pretty much since the last notes faded. Burn is massively powerful, slowly building from a deep dark ambience up to a huge sequencer-driven frenzy. Sound sources ranging from real analogue modular synths and mellotron to up to the minute digital instruments. These are used to craft a soundscape that blends classic sequences with driving rhythms underpinning AirSculpture's distinctive melodic flourishes. Burn is available for immediate download from MusicZeit, where you can also hear some short clips of the album. A CD pressing is also planned. Copyright © Airsculpture 2008 - 2017.